Her passion and obsession for the animals would often set her apart as it was mostly considered quite a manly role to take care of the huge shepherd dogs. They needed to be well fed and exercised in order to effectively herd the flock. The villagers warned her that she might get into trouble but she was a stubborn lady and persisted until they had no choice but to accept her for who she was. She loved her pet Shepherd dogs and took great care of them. Then one day as she was sitting by a hill top collecting flowers; she heard a rustle behind the tall grass in front of her. She didn’t feel any wind blowing and yet she could see the blades of grass moving for a while and gradually the rustling stopped. All of a sudden, as if from out of the blue she saw a new type of canine approach her in a calm manner from behind. Surely enough, it was her first encounter with a wolf. She wasn’t afraid of it at all and was in fact extremely curious. The wolf sensed her lack of fear and asked her “Woman, are you not afraid of me? “It’s nice to meet you Chono. My name is Sarnai and I’d love to bring you back to my village and show you off. The other dogs are my pets but you can be my friend.”-she said, excited that she had come across such an exquisite find. Chono was truly unlike any dog she had ever seen. He had a certain grace in his stride that commanded respect. In response to her offer, Chono sat down while letting out a deep sigh and scratched behind his ear with his left paw. He realized how naive Sarnai was and gave her a piece of his mind by saying-“Look woman. I’ve recently had a terrible experience dealing with a human who hurt me. I’m not ready to trust your kind, not for a while at least. Unlike your other pets, I’m not obligated to be loyal to you and if I wanted I could tear you to pieces right here and make quite the meal out of you as revenge for what your kind have done to me. Dismayed, Sarnai lowered her gaze and put the remaining flowers in her basket, all except for one. “This is for you to remember me by.”-She said as she stormed off angrily through the tall grass and made her way back to her village. 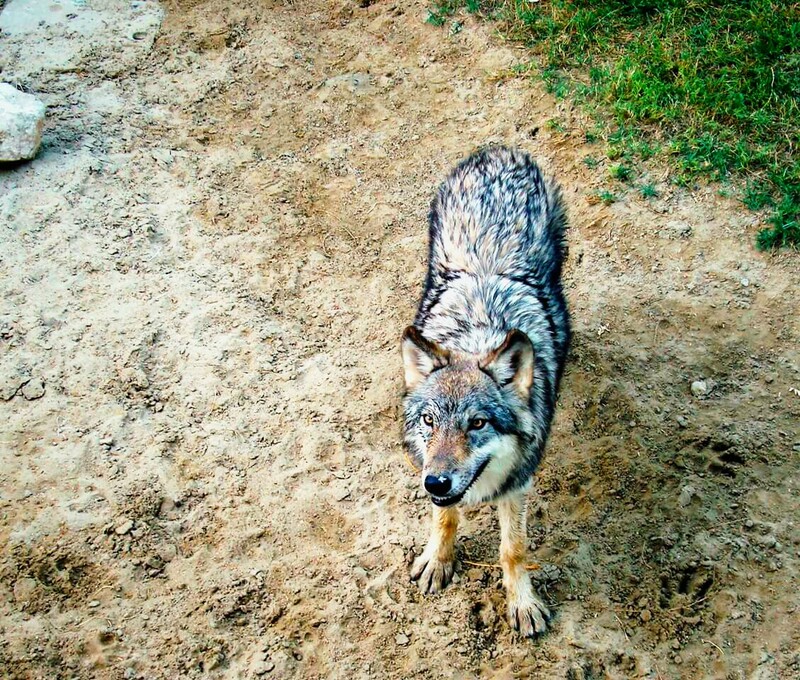 As soon as she got back, she began to play the role of a victim and told the villagers that a wolf caught her by surprise on the hilltop and tried to eat her. Frantically, all the villagers came to her aid and checked to see if she was hurt. They told her not to worry as wolves are known to be ferocious creatures and that they would make sure Lord Tengger the God of all creation took back their souls.The village men gathered their blades and whatever weapons they could salvage. Amongst the ruckus, the chieftain of the village made his voice heard. He told the villagers that he would go alone and face the wolf himself. He assured his followers that Lord Tengger would protect him. Surely enough, Chono on hearing his voice came out through the grass. “Chono, what is this I hear? A daughter from my village claims that you tried to eat her.” Chono returned the chief’s allegation with a fierce intimidating gaze. He could smell fear from the chief but Chono said nothing. Chono replied:”I know what it is like to get hurt. I had lost my pup to the hands of a human hunter. Sarnai too has loved ones and I wish not to see them get hurt as I have. She’s stubborn, but her heart means well. “Why yes, I have not forgotten. You too mean well Chono, Thank you. May Tengger keep your soul safe.”-said the chieftain while humbly bowing his head to Chono. “And your’s too chief, for my patience is wearing thin. That’s two meals I’ve sacrificed now. If I were you I’d make haste downhill.”-Chono snarled angrily. The chieftain smiled and went on his way.